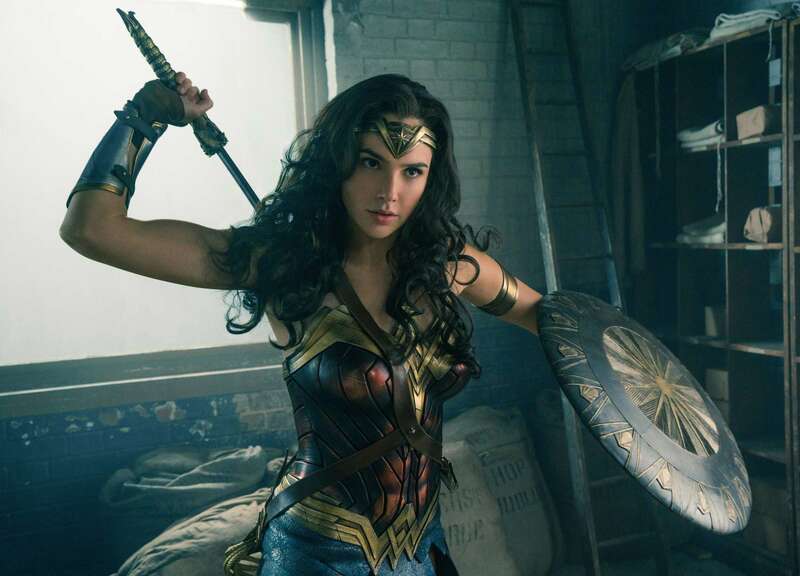 In today’s countdown post, USA Today asks me and other YA authors for our favorite superhero. Can you guess mine? Find all of our answers here ! 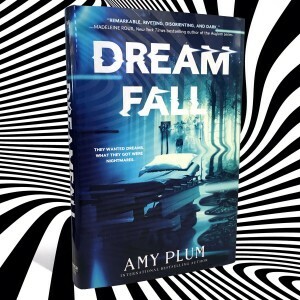 When you read it, you will see why DREAMFALL is close to my heart. Because there is (figuratively) a big chunk of said heart invested in one of the characters. 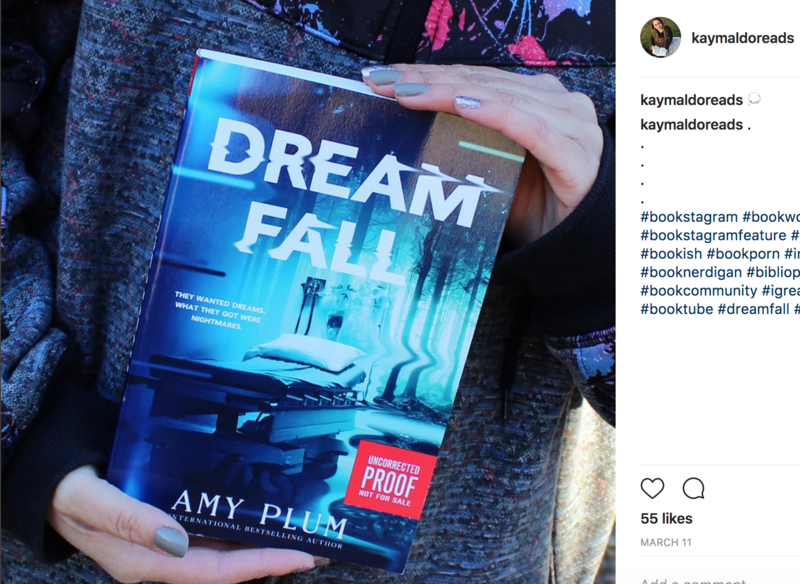 And they’re doing their own giveaway of a hardback copy of DREAMFALL signed and dedicated by moi. I hope you enjoy the interview, and definitely…sign up for that contest! “Sixteen-year-old Catalina-called Cata- cannot sleep, not since the horrible event that left her orphaned at age nine. Cata’s PTSD-induced insomnia is severe enough to qualify for an experimental new treatment for young insomniacs; she and six other teens are treated by Doctors Zhu and Vesper in a trial meant to last about six hours. Cata, Fergus, George, Remi, Sinclair, Ant, and BethAnn are hopeful but leery as they prepare to be treated by electroshock therapy to induce normal sleep patterns. The test subjects respond well at first, but an earthquake disturbs the electrical flow, causing the patients to stall in sleep-like trances and be declared comatose, possibly forever. Unbeknownst to the doctors, the teens have converged in shared nightmares where the gore is tangible and death is real, and they must find a way back to consciousness or die. There are 12 days until the release of DREAMFALL, and I will be doing something special each and every day until May 2! For those of you who missed it in the YA Scavenger Hunt, I made a video of myself reading an excerpt from DREAMFALL while hiding in the basement of a 200-year-old convent in the French countryside. I will be giving you a written excerpt of DREAMFALL in the coming days, but for now…here is a taste! Photo stolen from Kaymaldoreads since I liked her fingernail polish. EXCEPT you can’t use bojangles. You have to use your own word. 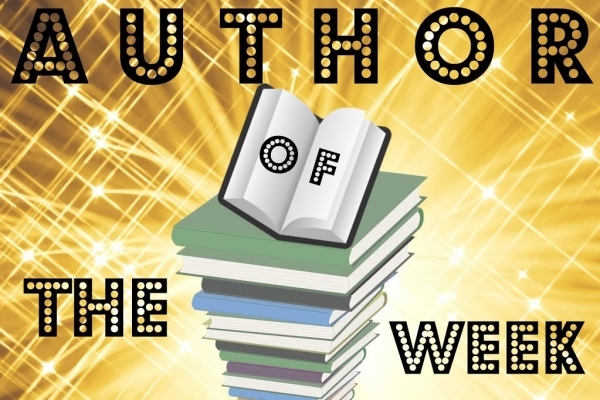 Let me know what it was in the comments below or copy me on your tweet, and I’ll count your name in the contest. 24 hours. International. And GO!!! 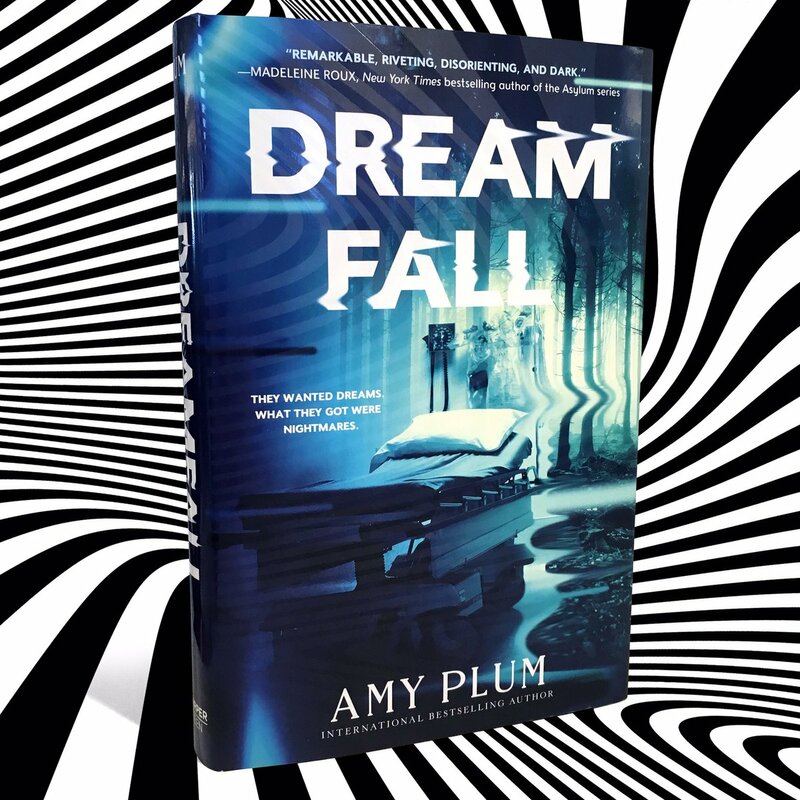 I have had a few diehard DIE FOR ME fans write me lately to say that they weren’t big readers of horror, therefore they weren’t sure they would like DREAMFALL. I actually wondered myself if my readers wouldn’t mind genre-hopping, but sincerely hoped they would give it a try. Well, here’s a letter that cleared up that quandary for me! 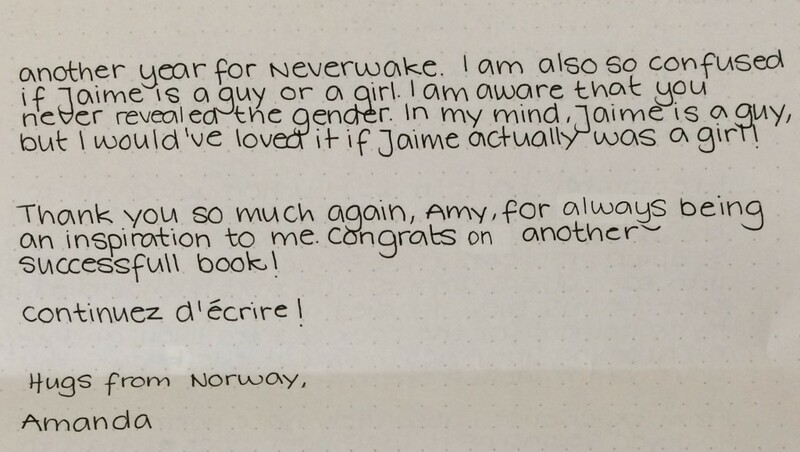 This is from a teenager in Norway who has been an avid reader since the very beginning of the DIE FOR ME series. She won an advance reader copy of DREAMFALL in one of my contests, and was thoughtful enough to send me this letter afterward. I have cut out parts and blurred others that might be spoilers, so it’s 100% safe to read! And there is Amanda’s verdict! I hope all of you DIE FOR ME readers will give DREAMFALL a try, and I hope even more that you will love it as much as she did!